The news was announced by his bandmates on Twitter this afternoon. 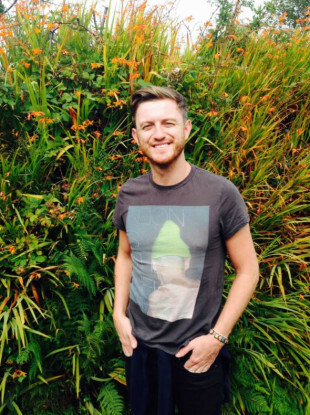 THE OVERTONES SINGER Timmy Matley has died aged 36, just months before the band were due to go on tour. Matley, originally from Cork, along with his fellow bandmates have had significant success in recent years after the band signed a 5-album deal with Warner Bros Records in 2010. The news of his death was confirmed by his bandmates Mark Franks, Darren Everest, Mike Crawshaw and Lachie Chapman on Twitter this afternoon. “It is with great sadness that we have to announce that our dear friend and brother Timmy has passed away,” they said. Matley was diagnosed with stage three malignant melanoma, a form of skin cancer, in September 2016. He was expected to do a skydive on 3 May to raise money for the Royal Marsden Cancer Charity. Matley was also due to join The Overtones for a tour around the UK this July. Farranree Youth Club, of which Matley was a former member, has paid tribute to him online. “It is with great sadness we have learned the passing of our dear friend and former member Timmy Matley,” the statement said. Email “The Overtones singer Timmy Matley has died aged 36”. Feedback on “The Overtones singer Timmy Matley has died aged 36”.